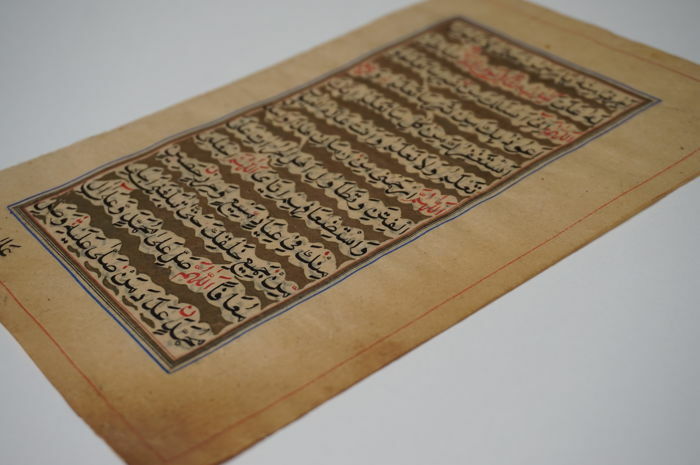 Text double-sided on 17 lines in Arabic in calligraphy in Naskh character. 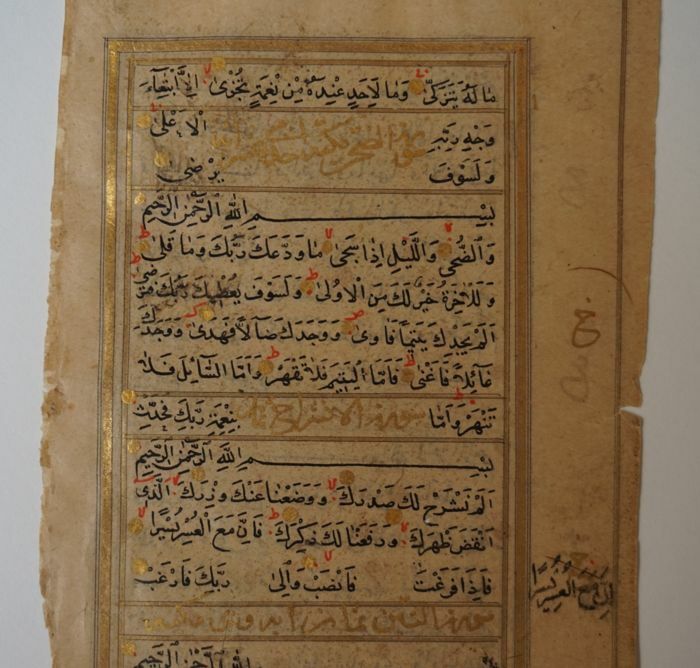 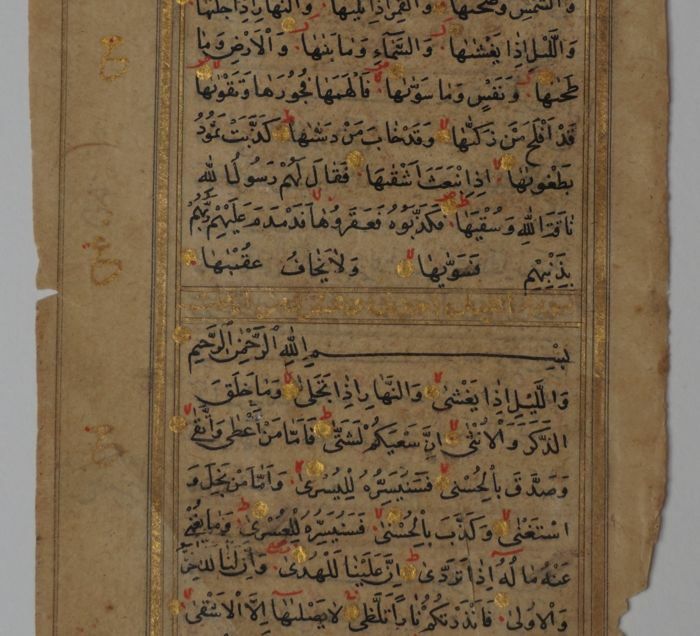 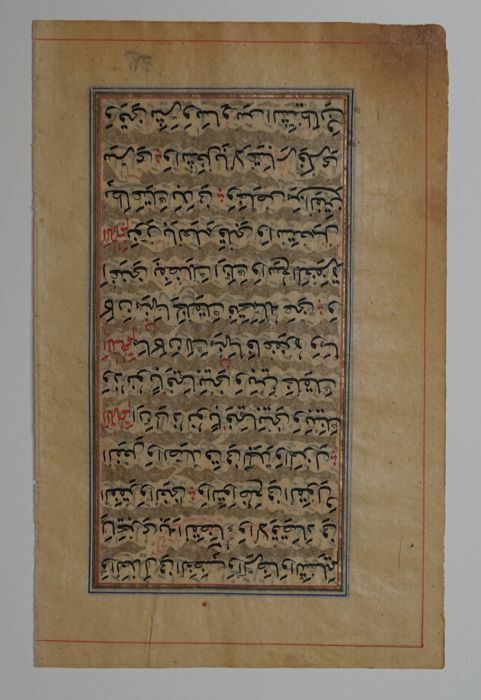 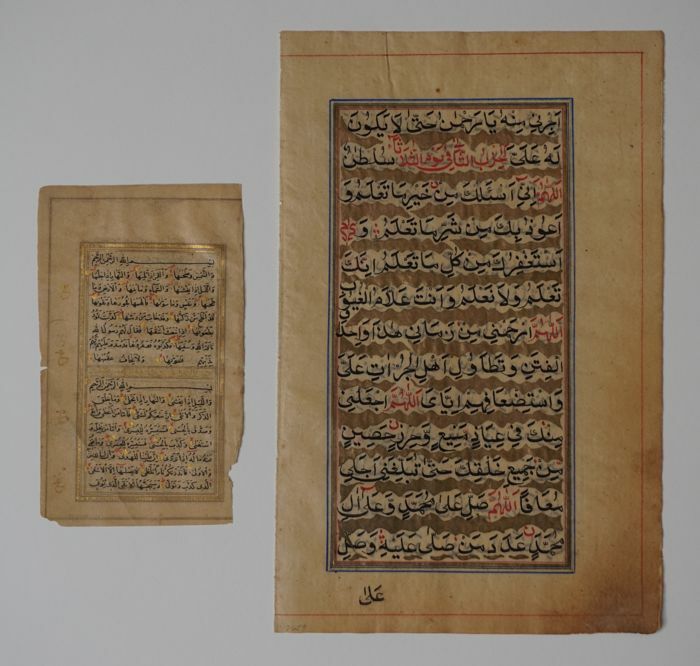 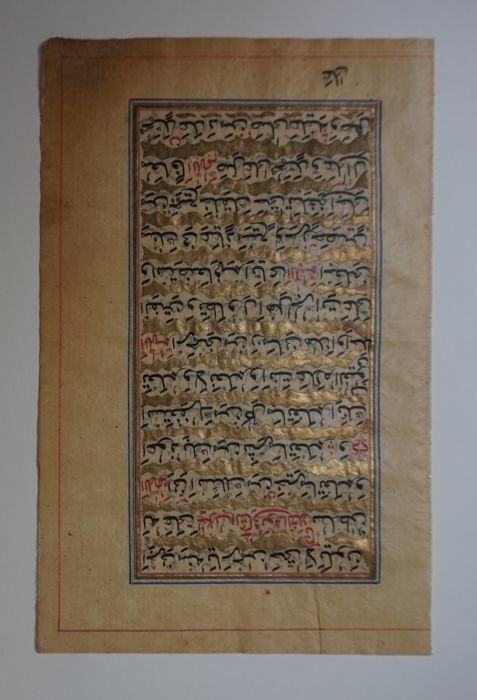 Titles of the Suras framed in gold calligraphy, gold between verses. 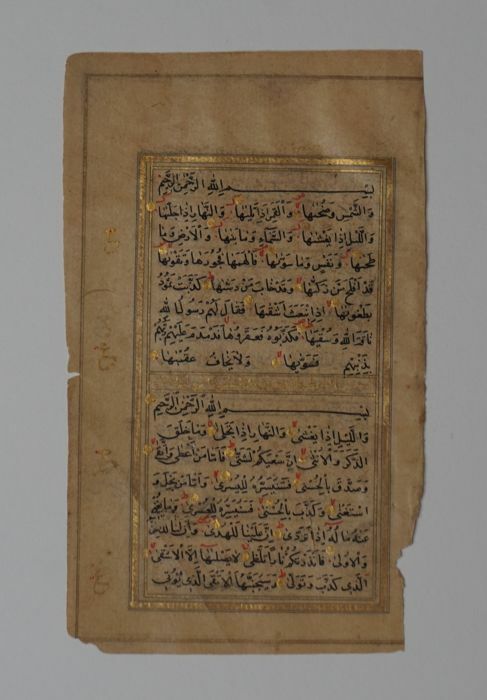 Size: 11.6 x 7 cm. 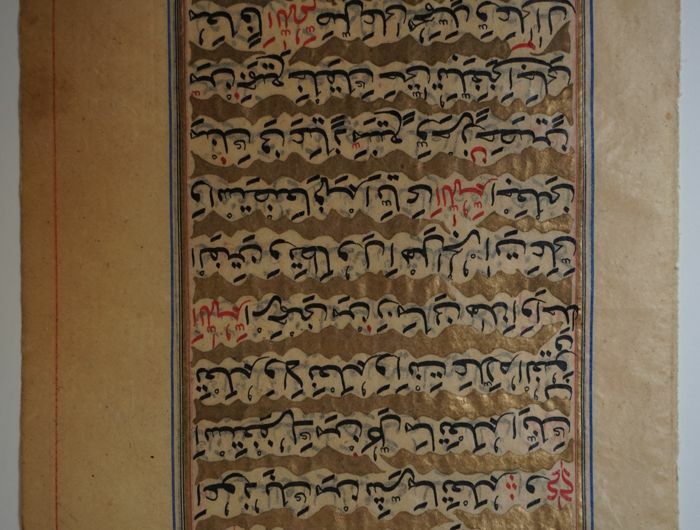 Text written in calligraphy in Arabic on 13 lines in golden clouds. 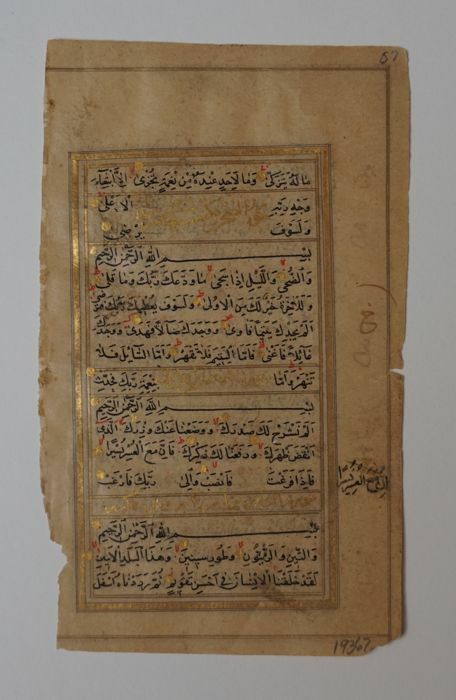 Size: 20.1 x 13 cm.